Wall art is a great way to spice up any blank space. With so many sizes and designs to choose from, you’re bound to have endless possibilities and lots of fun. While window shopping, and even online window shopping, can be enjoyable, it can be overwhelming. 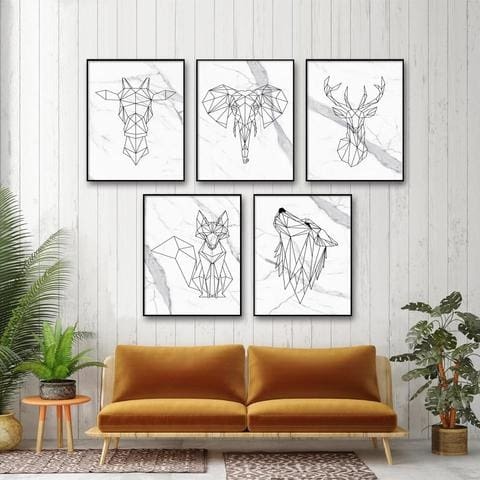 If you’re having trouble deciding on the size of your wall art or how to hang one or multiple pictures, trouble yourself no more because this blog entry is for you. Follow these three tips and you’ll be hanging your wall art like a pro in no time. Size is a big consideration when it comes to wall art size. The size of your wall will dictate if you’ll be doing one big piece or multiple smaller pieces. A good rule of thumb is to fill up the entire width of the wall, with an allowance of around half a foot or one foot on all sides. This will help your wall art look balanced and centered. Find wall art that’s of similar length to the furniture it’ll be on top of. Keep the proportions of your wall art and furniture in pair. If you can’t find something of a similar size, feel free to go smaller, but not wider. Wider wall art won’t look nice with your furniture. 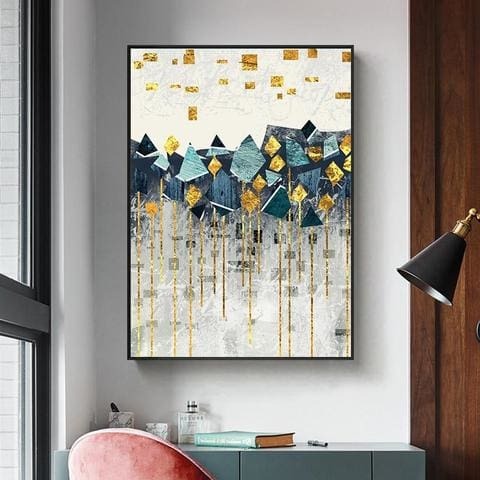 When hanging wall art above anything, make sure there’s an allowance of 6-8 inches from the bottom edge of the wall art canvas to the upper edge of the table, bed, or sofa. One large wall art canvas can be overwhelming to behold, monotonous to the eye, or just plain expensive. You’re better of compiling multiple smaller pieces and arranging them in a simple grid, if they’re all the same size, or in a pattern like a gallery. Multiple wall art pieces will instantly give your space a very contemporary feel. With these tips, you are well on your way to turning your blank walls into a fabulous showcase of color, texture, and style. Love the looks above? You’re in luck! All these pieces and style ideas are from our newly launched Wall Art collection! 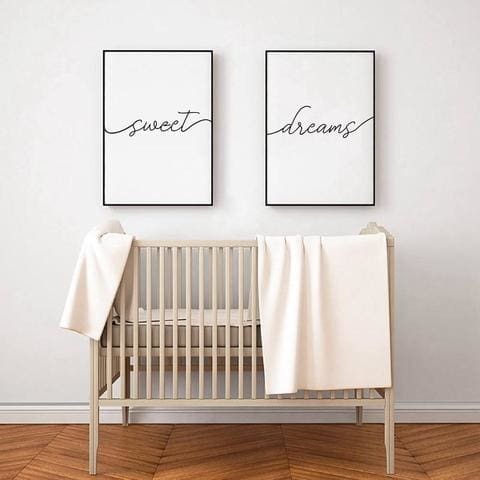 True to our rebranding as Embla Home, we’re venturing into home goods to bring you a finely curated selection of wall art to match any mood or aesthetic. If these walls could talk, they’d be raving about our fresh designs that’ll allow you to mix, match, and make some magic! Check out our collection of Wall Art prints now, and hurry while we're having a special launch sale!